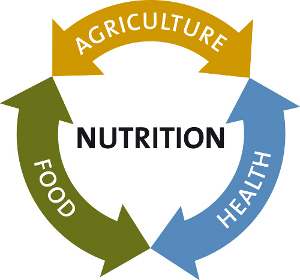 The past month has seen three important publications on nutrition-sensitive agriculture. First, a paper from Anna Herforth, Andrew Jones and Per Pinstrup Andersen, commissioned by the World Bank. This paper develops 8 "Guiding Principles for Operational Investments" (pdf) for prioritising nutrition in agriculture and rural development. There are many sensible things in here (not surprising given the calibre of the authors) and it is a good menu of what to do if you want to improve the nutritional impact of your agricultural interventions: include a nutrition objective, target nutritionally vulnerable groups, invest in women, improve food safety and the nutritional quality of food, minimize water borne disease hazards, improve nutrition education, policies, taxes and subsidies to incentivise certain strategies, increase capacity to identify and seize multisectoral opportunities for nutrition and better impact evaluation. Second, a paper by Noreen Mucha for the Bread for the World Institute (pdf). This paper is on nutrition sensitive development more generally. It talks about the importance of identifying pathways to nutritional impact, and the importance of setting objectives, and then monitoring them over time. The paper has a useful collection of definitions of nutrition sensitive development and calls for global normative body or bodies to define nutrition sensitive development to avoid the old wine in new bottles syndrome. The third paper is by Robert Paarlberg, and is an evaluation of the IFPRI 2020 Conference in 2011 on Leveraging Agriculture for Improving Nutrition and Health in Delhi (pdf). The report tries to assess the impact of the conference on individuals, institutions and discourse using participant surveys, personal interviews and web searches. For individuals the conference had a small impact on their views--it had a bigger impact on motivation and empowerment, at least in the short term. At the institutional level the findings were that NGOs and the private sector were not much affected, because they are already comfortable working across sectors. The institutions that found it most useful were the agricultural ones, looking for entry points. The discourse was measured by links on websites to nutrition-agriculture issues and these were much higher immediately after the conference and even over one year later (of course there could be other factors at play). These 3 papers are all valuable. But none of them focus on the incentives for agricultural and nutrition professionals or organisations to engage with each other. For the IFPRI conference 75 % of conferees surveyed were already convinced of the need for a cross-sectional approach--what about the other 25% and, more importantly perhaps, the ones who did not attend? The Herforth et. al. paper assumes there is a willingness of some agricultural professionals to focus on nutrition, but says very little about what to do to incentivise more of them to want to engage with nutrition. The Mucha paper says that "experts agree that reducing maternal and child undernutrition will require nutrition sensitive actions", but what will drive the actions? The Paarlberg paper notes that the IFPRI conference had the least traction within governments where undernutrition is high. This reflects their reality: few degrees of freedom and weak incentives. It is important to know what to tell policymakers when they ask "what can I do?" But I would argue it is more important to (1) know how to get more of them asking the question in the first place and then (2) understand the incentives and barriers to getting any subsequent policies implemented across sectors. So what are the incentives? At a policy level taxes and subsidies might have a role to play. Donors can always incentivise short term collaboration. And in the longer term surely multisectoral training in nutrition and agriculture --whether accredited or not-- is key. But the best way to find out about the incentives and barriers is to do some market analysis: ask the agriculturalists and nutritionists to identify the barriers and what they think would help overcome them. That is a study I would like to see. Such a fascinating article. It's definitely frustrating to see the utter disconnect between nutrion and agriculture--especially when such an important linkage is recognized. It seems to me that training is the most important step toward fully integration these very siloed areas, because while recognition is great, it doesn't accomplish much if deep thought isn't put into both agriculture and nutrition during project scoping and design. I'm relatively new to the development field, but it definitely baffles me that these two inextricably linked subjects are so unbelievable separated. Most practitioners I speak with can answer questions about ag or nutrition, but do all but run away screaming if asked to speak to both. The past month http://www.trimnutrition.com/hcg/hcginjections.html has seen three important publications on nutrition-sensitive agriculture. Its just natural that we think of ways so we can feed more people with what we have. Something must be done and with that, we sometimes neglect the nutrition we need. I think it's better to think about long term goals rather than immediate actions. Overcoming the barriers between nutrition and agriculture would be the right solution. Agriculture is food, and food is nutrition. There's a significant link that shouldn't be altered between the three. I'm looking forward to the results of the study, because I would like to see it too. Thank you. I may have to agree with what Allison said; sometimes people underestimate the value of checking the nutrition facts of the food that they eat. Even though they know this kind of procedure they still don’t mind at it.